Today’s blog post is about how to teach kids not to lie. Being honest with my son is very important to me, and in return, I expect him not to lie to me as well. 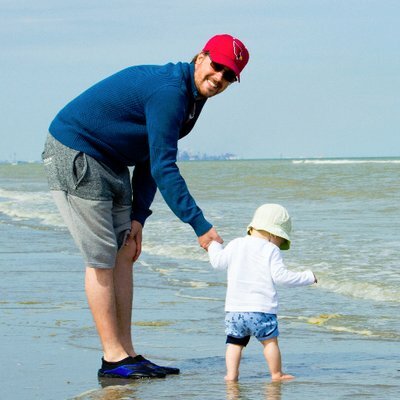 A few days ago I talked to friends of ours about long distance traveling with kids. One thing we discussed was the idea of the “Cabin Police”. I explain the concept in detail in my guide on how to travel with toddlers (which you can find here), so I don’t want to dig too deep here. Long story short: The “Cabin Police” is basically a “little white lie” that our friends told their kids on their recent long-haul flight to keep them quiet, and they were quite successful with it! Good for them! But then again, this discussion got me thinking and I asked myself: How far would I want to go myself when it comes down to honesty with my kids? Are little white lies okay, or not? And if they are, what does this mean for me and for what I can expect from my kids in terms of being honest? A quick disclaimer: I am not here to judge. I know that this article bears some explosive opinions. Things that you may disagree on. Maybe I mention things that I think are bad, but you consider okay. If so, that’s great! It gives us the opportunity to DISCUSS! I want to make it crystal clear that everything I explain here is my personal opinion and preference and you may think different. That is fine! Please let me know what you think in the comments below. I love my own Mom and Dad so much for teaching me the things that matter in life. The lessons they taught me back then make me the person I am today. One thing that was always valued very high in my family was honesty. Now that I think about it, there probably wasn’t anything that my Mom and Dad cared more about. I knew that I can talk to my parents about everything. And my parents were very proud of that. I could ask any question, and I would get an honest response. And they expected the same from me. I knew I could tell them when I did something bad or stupid, and they would have my back (in most cases, at least). Trust and honesty were the fundaments of love in my family when I was a kid. I try to do my best to model the same for my son! The reason why it mattered so much to us was that it contributed to an atmosphere of trust. Many say that the family is sacred, yet I see so many families struggle to create a warm atmosphere, one where everybody feels at home; one where everybody feels safe. The point is: Developing a good relationship with honesty prevents lies and secrets to worm into your family and undermine its integrity. Both harm trustful and meaningful relationships between family members; the fundament; the good stuff your family can thrive on. And trust me, I know: Being honest ALL THE TIME can be hard. Yet it is so important! And it’s true. Have you ever been lied to by a person you thought you could trust? Did you ever trust them again in the aftermath? There remains some amount of doubt; no matter what they say, right? That is why I try to avoid ALL lies. Even the little white lies. Those that make our challenging life’s as Moms and Dads a bit easier every now and then. I know, it can be daunting. And sometimes it is hard to come up with good alternatives. Let me give you an example: If my son asks me if he can play a game on my smartphone and I don’t want him to (because he already had enough screentime that day or so), the easy way out would be simply to tell him: “Oops, the battery is empty!” or “Oh no, I forgot my phone at home.” He would certainly believe that. No doubt! Don’t bring your smartphone in the first place. Leave it at home. You can be honest and say: “Sorry, you can’t play right now. I don’t have my phone with me.” We spend tons of time with our smartphones in our hands anyway. I certainly do! So it’s probably a good idea to leave it at home every now and then anyway. Don’t install games: Personally, I do not have any kids apps on my phone right now. My wife has them installed on her’s. So when I am alone with Benni and he asks me if he can play, I can always tell him that his games are on Mom’s phone and I don’t have any. Just tell your kid that you don’t want him to play now. He will ask why, so have an answer ready: “Because you want to watch the Muppet Show tonight and that is enough screen time for one day.” Or so. This option will lead to discussion, probably even a meltdown. I still believe that this is a great, probably the best option. It even leaves room for your child to make a meaningful decision. What I mean by that is that you can offer him to decide whether he wants to play now or watch TV tonight. He can choose, which contributes to his need for belonging and significance! FYI: If you want to learn more about this concept, please make sure to read my review of Positive Parenting Solutions here. I know it is harder that way than just claiming that your phone’s battery is empty. It means that you have to plan ahead or discuss with your child. Your kid may even have a meltdown. It is challenging, but personally, I strongly believe that it is worth it! It is proved that you are willing to dispute with your kids, to allow them to participate, to favor the challenging, meaningful way over the obvious and easy route. It will make you grow as a parent and overall as the person you are! Personally, I am really strict about this. If you’ve read my post about our social media policy and why I don’t share ANY pictures of my son here, you already now that it is really important to me to stay accountable to my own rules. And for me, this applies here as well. I know that my life as a Dad could be easier every now and then if I would simply make something up. But I try to see this as an investment: It is harder now, but I strongly believe that building this strong atmosphere of trust will pay off someday in the distant future! 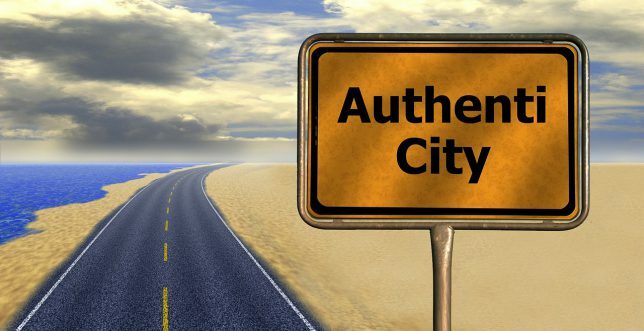 The road to authenticity can be bumpy… But it is worth it! I still remember a story from back in 2000 that stuck with me to this very day. I was 16 years old. I had my first motorcycle and I came home from football practice. I had a severe headache and didn’t really feel well. I remember how I parked my bike next to my Dad’s car and forgot to extend the kickstand (stupid me). What happened now was that I got off the bike and the bike fell against my Dad’s car, leaving a little dent behind, right there on the fender. It wasn’t easy to spot though. He honored that fact that I didn’t beat around the bush. He showed respect because I was upfront and told him that I made a mistake. That stuck with me! And I think it makes me think differently about the importance of being honest and trustworthy to this very day. It encourages me every single day when I think about how I want my relationship with my son to be. 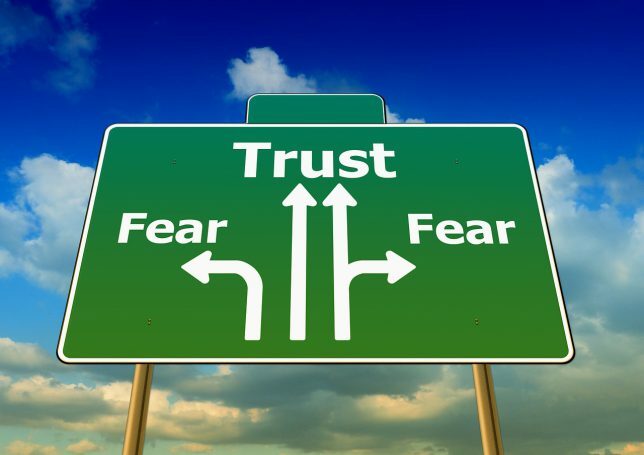 Fear could have led me to lie to my dad… Luckily I stayed on track! It taught me a lesson for life! Bottom line: If people know they can count on you, they will cut you some slack where the rubber hits the road. And so will your kids! If you manage to show them that being honest to you pays off (not in terms of praise or reward, but in terms of a good family atmosphere and respect for each other) you’ve won half the battle already. Nay, probably three-quarters of it! And that leads me to my last point. The question I am trying to answer with this blog post is: How can we as Moms and Dads teach our kids not to lie. Well, the hard truth is that there is no step-by-step-plan and no syllabus to follow. Like with many other parenting related questions there is one simple truth here, though: Model the behavior that YOU expect from your kids. If you are honest with them and if you show respect for others being honest they will happily follow your footprints and grow up as honest people themselves. Model the value of being honest. It will earn you your kids’ trust as your reward! A lying kid is a kid trying to avoid something: A negative consequence, some kind of punishment, a ban or the like. If I notice that Benni lies to me I try to take him out of the situation, calm him down, make eye contact and discuss with him what is going on. Not to talk him into feeling bad about it, but because I want to learn from him why he isn’t telling the truth. Don’t forget, though: Sometimes kids just want to play. I notice how Benni sometimes plays out his imagination and says things that aren’t true because of that. He’s playing, and I feel that that is a different form of not telling the truth than upfront lying is (because of a “hidden agenda” or so). And that is fine! At the end of the day, they are still kids, right? I know that the topic I have discussed in this post is highly controversial. From talking to my own friends, I know that there are tons of possible approaches to tackle the issue. I am just trying to share what works for US! And I know that not everybody shares my opinion. This is one of these “from-the-bottom-of-my-heart”-articles that are genuinely important to me because they involve highly personal stories. It involves a topic that I consider one of the major pillars of our family life. And EVERY family is different! Hence, I am so eager to learn what works for you! 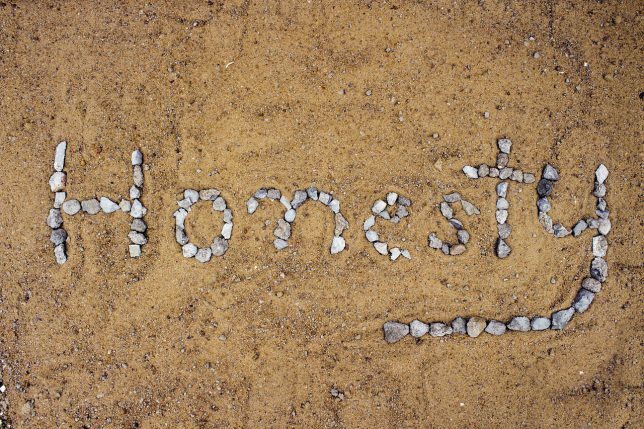 How do you deal with honesty in your family? Do you have tactics or strategies you follow when it comes down to teaching your kids about not to lie? Is there anything in this blog post you want to object against? If so, what is it and why? How do you deal with it instead? Please let me know in the comments below or send me an email at chris@thattoydad.com. I’m looking forward to hearing from you. Thanks for stopping by and reading this article. I really appreciate you spent your time here. P.S. : If you REALLY want to level up your parenting skills and get rid of all the power struggles that can stand between our kids and us as moms or dads, then make sure to read my FULL REVIEW of “Positive Parenting Solutions” HERE. I also believe that being honest is the best way to teach our kid to be honest in return. Eventually, they understand and are able to explain in their own words the reason why they are not allowed to do something. It’s a matter of being patient and finding different ways to explain. Teaching the difference between a lie and a fact at an early age is important. I think it will help the child make a sound decision as he grows (choosing friends, a career, etc.). Hi Chris, very interesting article. And very relevant as I have just been away for a week with some girlfriends and their kids – 4 mums, 4 kids and 4 different parenting styles. One told white lies all the time to try to get her son to behave – things like “sit down or the dragon will come a get you etc” I felt a little uneasy about it at the time – my daughter is younger so we are still in baby stage. I hide things from her if I don’t want her to have them but don’t tell her white lies yet. I definitely agree in principle with your approach but wonder if it is possible in reality! We will try though. Thanks for sharing your thoughts and experience here. I highly appreciate it, because it brings some real-life situations to the table. All the best to you and your family, Allie! Wow! This article is a real eye opener to me as a parent of 3 very active kids. I tend to give in most of the time, so I would sometimes tell ‘white lies’ to avoid my kids from getting what they want. I truly agree with what you said about if we model honest behavior in front of our kids ,they will learn to grow up as honest people themselves. I will certainly try to go for the honest approach more and more! Hey, thank you so much for stopping by and taking the time to say hi! I really appreciate it. I’m happy to read that I could bring something to the table that got you thinking. Just to be clear: I am not here to judge. Every parent has his/her own approach to every single topic. I just wanted to share what works for us as a family. If it’s something you’ll try in your own family as well, then that’s AWESOME! Let me know how it went, will you? I am totally on your side when you say that even small white lies should be avoided at all costs. Because if kids ever find out, then they would think that it is okay to lie, when in fact, that’s not the case. Children learn from their parents FIRST, and thus, they adapt the habits of their parents as well. If they see it often enough, they will start thinking that its okay. What I think is really important, is also not to yell or scold kids so harshly because they did something bad. 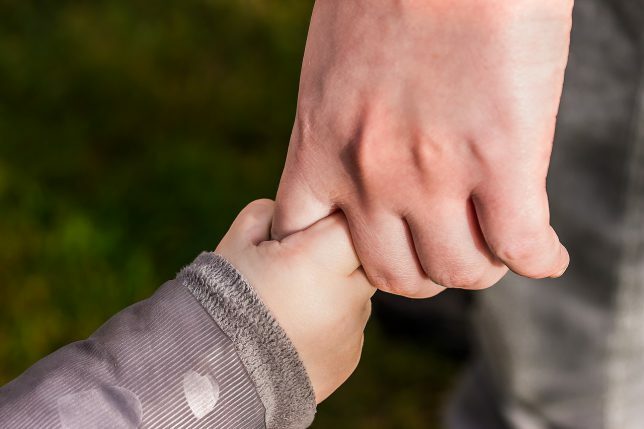 As parents, we should make sure that we make our disappointment apparent, while also still showing our kids that we will not hurt them and that we are there for them, even if they make the silliest or biggest mistakes that could cost us money. The way we react to their present mistakes will dictate how much our kids tell us in the future. If they feel like we are mostly reasonable, they will most likely not lie to us. Hey Reyhana! I totally agree with you. Thank you SO MUCH for your elaborate comment. You’re an awesome Mom!!! Even though I agree, I have to admit that every now and then I learn the hard way that it can be incredibly challenging to stay calm ALL the time (and not to yell). But I try my best, and in most cases, when I step back, breath and think for a moment I can handle the situation quite well. 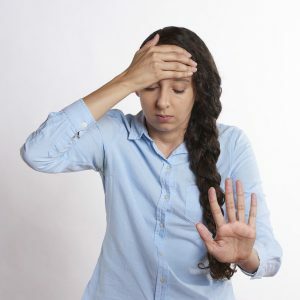 I don’t know if you had a chance to read my review of Positive Parenting Solutions over here, which is an online course that really, REALLY helped me a lot to handle these situations and stay calm. If you haven’t, please have a look and let me know what you think about it, will you? This is absolutely one of the greatest articles I have read in a very long time. I am actually a grandparent raising my grandson and we apply these rules all the time. Not gonna lie though as we all know sometimes it would just be easier to tell the little white lie but yes then you take a chance it turns into something big. As I am a blogger as well I would love your permission to share your article on my website which I will also share on my Facebook group which has almost 1000 people in it. Please get ahold of me and we can talk. Like I said one of the best articles I have read in a long time. What a nice comment. Thank you so much! Getting such a nice feedback on the same day you put so much work into writing such an article is PURE GOLD. So thank you, that’s awesome. You literally made my day: It’s almost 10 PM here in Germany and I’m just about to turn off my computer, and your kind post is such a great way to wrap up the day 🙂 The first thing I’m gonna do tomorrow morning is send you an email so we can discuss your proposal. Looking forward to working together, I’m sure we can work something out!